Korea’s apartment rental system is very unique and finding an apartment in Seoul may be difficult. And the first place you might think of is Craigslist Korea, which is great for room shares, but of the apartments listed are targeted at foreigners at inflated prices. Also, there aren’t enough listings on Craigslist to accurately reflect prices and availability of housing in Korea. Looking for an apartment in Seoul can be difficult, especially as a foreigner, but these 3 steps will help you find a great new apartment. Seoul is very large. Don’t waste your time by trying to search all over the city. First, decide on the neighborhood that works best for you. The number one factor for most people is proximity to work. Taking an hour or more to commute on 2호선 (Seoul’s line number 2) is inconvenient. Look for straight shots with no transfers (or even walking distance) to your place of work. Being close to popular downtown areas is also quite convenient. Once you’ve found an ideal place to live in Seoul, you’ll have to check and see if it is in your price range.. The easiest and fastest way to do this is through the smartphone apps. Download Zigbang (Android | iPhone) or Dabang (Android | iPhone) and search apartments by area, room, apartment types, and many other ways. This will allow you to see if you can afford living in the high-rise looking over the Han or the hotspot where you’ve always wanted to live. 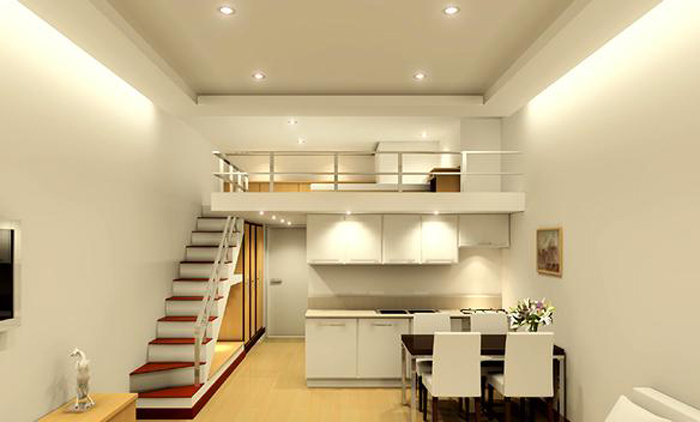 Tip 2: Some areas lack in types of housing (i.e. areas with high concentrations of families may not have many places for the single housing). 1. Some landlords deal exclusively with one real estate agency. 2. The internet is great, but not everyone posts their listings on the same sites. 3. You get access to new openings before they hit the internet. 4. You can tell them exactly what you want and they’ll find something for you. 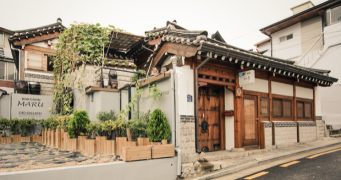 Head into anywhere you see a 부동산 (Real Estate) awning and simply state the price range you’re looking for. A common way to express this is to just say the numbers for key money deposit and monthly rent (1000/90) — [not sure what key money is? click here to find out]. They also typically want to know your move in date. Other things you can request are: types of housing, furnished housing, more specific areas (right next to your work, for example), parking spots, etc. Once they know the basic information, they’ll take you to see apartments right away. Don’t forget to ask general questions like where the supermarkets are or if they allow pets. Also, remember to ask if there are any other fees on top of the rent (i.e. 관리비 – maintenance fees). Decisions are made in a day or two and sometimes even on the same day. Tip: Some agents will pressure you to sign right then and there because they don’t want to lose your business. Congratulations! You’ve found your dream apartment in Korea. The last step is to sign. There is a lot of Korean involved in this entire process, so if your Korean is limited, having a Korean-speaking friend will be helpful. If you would like some professional help, we’re partnered with experts who make the complex contract language in Korean easy. They’ll also find the type of place you’re looking for in your price range and make sure you’re not getting ripped off. Click here to ask us and skip all the hard work. 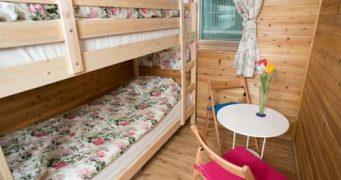 Getting your own apartment in Korea is empowering, and if you’re able to get this task done, you can probably survive just about anything as an expat in Korea. Essential Reading: The rental system in Korea is very different. Click here to see how it works. 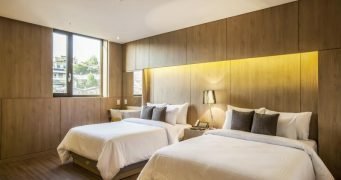 Looking for housing in Seoul? Our partners will find you the perfect apartment that will match your price, location and type. We'll help you find the perfect apartment in Korea. Do you know any places where you can rent an office-tel in Seoul for a 2-3 months cheaply and preferably on the same subway line as Non-hyun-Dong? and furnished too. Hi I was wondering if there is a way to access/sign-up for Naver’s Peter Pan’s Real Estate Cafe in English? (I know I should learn Korean but we just got here and need to check area prices. ) Thank you very much! This was an extremely helpful post! 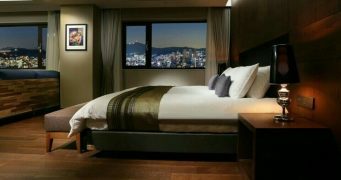 Hi, maybe it’s a silly question, but the kind of apartment like the one in the picture are like very common in Seoul? I saw the little loft of yours and then this picture. They look really nice and makes these little flats look way bigger. Any tips if I wanna search for that type of flats? Hey everyone! this site oneroom . com (no spaces) is the best for getting a place in korea! trust me but it’s in korean so either get a translator or if you know korean then good! So wish I had found something like this before I started looking for my first place. Nice intro to apartment hunting + good tips. I totally should have gone to more 부동산. Not sure if it is any good. hi, im an american and i love korea and i qould like to study university and eventually work as a nurse in korea and live there as well is this possible?? ?